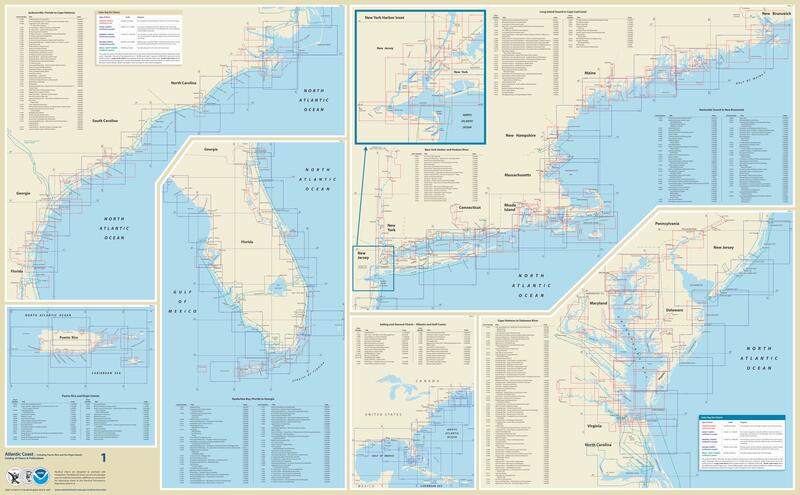 NOAA Charts are Nautical Charts developed and maintained by the US National Oceanic and Atmospheric Administration. 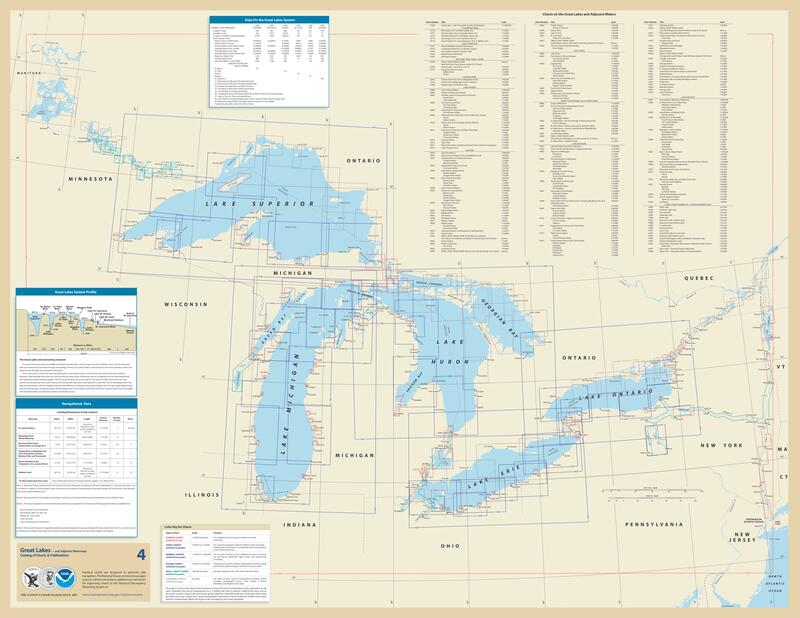 NOAA’s catalog of 1000+ coastal and Great Lakes nautical charts provide up-to-date navigational information to mariners. All charts portray water depths, coastlines, dangers, aids to navigation, landmarks, bottom characteristics and other features, as well as regulatory, tide, and other information. They contain all critical corrections published in notices to mariners since the last new edition of the chart was released, as well as any newly compiled routine changes. Find your nautical charts by clicking on the links below. A detailed index map will open in a separate window.